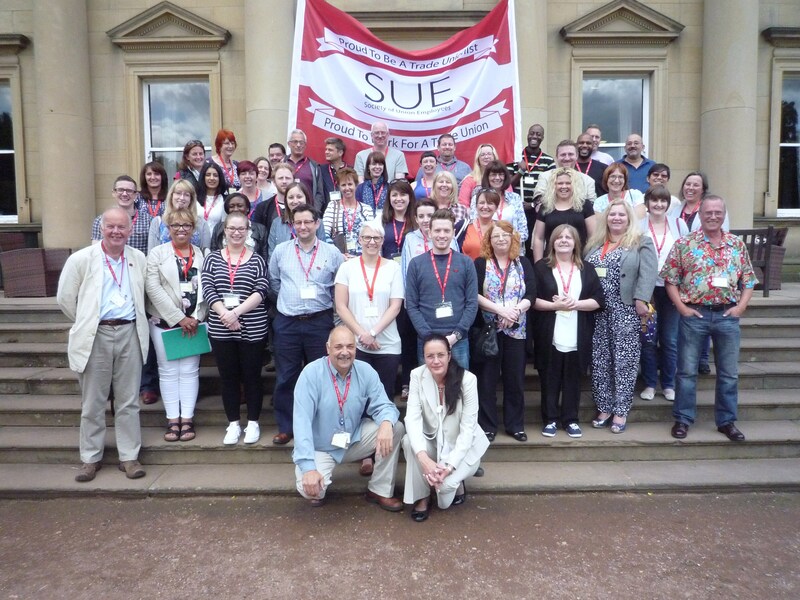 The 28th SUE National Delegate Conference took place in the beautiful setting of Wortley Hall near Sheffield on 8 & 9th July 2015. 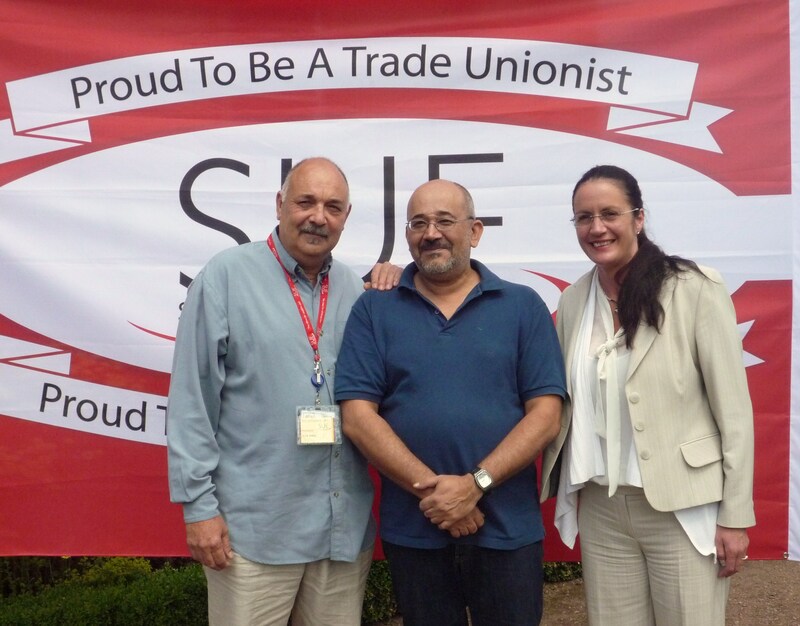 Over 50 SUE delegates and visitors attended the 2 day, motion based Conference with discussion and debate around numerous issues of importance to members whether directly employed by UNISON, Branch employed or agency staff. 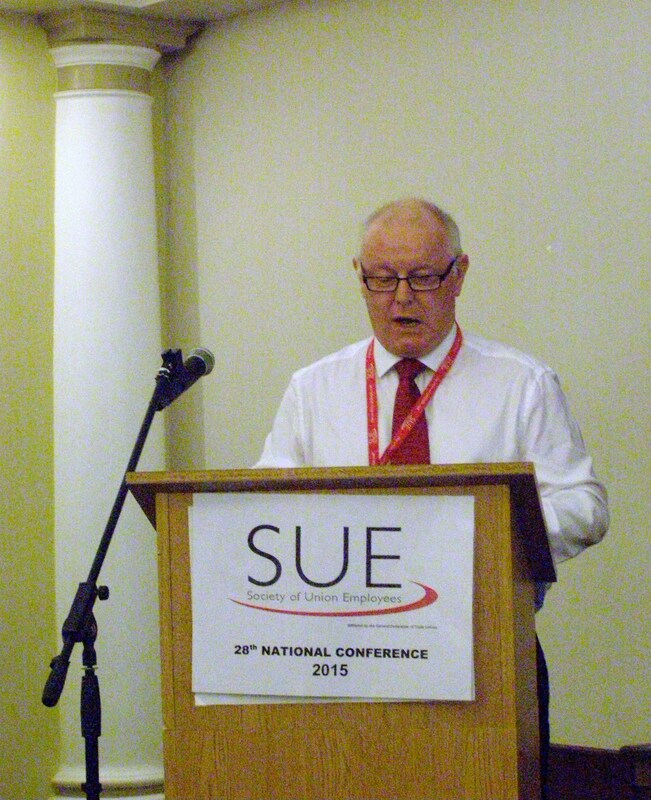 The range of topics debated reflects the diverse nature of SUE’s membership and included issues affecting Fighting Fund Organisers, Admin & Clerical Staff and those employed on the IMPS project. Conference was delighted to welcome two very inspirational guest speakers. Ronnie Draper from the Bakers, Food and Allied Workers Union (BFAWU) spoke about the successful community based project his union organised to stop the use of agency workers within Hovis and their campaign to unionise young workers within McDonald’s and other fast food outlets. Dikaios Psikakos, from the Greek movement, Solidarity4All, delivered a powerful and informative speech about the ongoing situation in Greece. Solidarity4All brings together many social initiatives to offer practical support to the Greek people and resistance to the harsh austerity policies which led to a humanitarian crisis following the collapse of the Greek economy, mass unemployment and the privatisation of many public services. A grass-roots organisation, they have set up health clinics, pharmacies and grocery stores for the unemployed, the homeless and those with few resources and are truly representative of the communities within which they live. It is clear that the Greek people have suffered incredible hardship over the last few years, much of which has not been reported in the UK and so it was both fascinating but also very humbling to hear first hand what was happening in Greece and the challenges still facing the country.